Yesterday's midterms were a rebuke to Trump. But America’s decades-long shift to the right won't be undone with Democratic Party liberalism. In purely electoral terms, last night’s midterms were a somewhat confusing jumble that will likely keep cable news spin doctors busy for weeks. While the Democrats did recapture the House, high-profile races in Texas, Florida, and Georgia narrowly broke Republican and the GOP, as expected, retained control of the Senate. Amid the partisan standoff, some progressive figures succeeded while others fell short. Alexandria Ocasio-Cortez is officially headed to Congress, as is Democratic Socialists of America (DSA) member Rashida Tlaib. And, after two terms of pillaging, Wisconsin has finally seen the back of the Koch Brothers’ man in Madison, Governor Scott Walker. Whether this patchwork qualifies as the wave election some predicted, the pronounced anti-Trump sentiment it ultimately conveys shouldn’t be missed. The Republican Party is on course to lose the national popular vote for both the House and Senate by considerable, though yet-to-be-determined, margins. In addition to Wisconsin, Republicans were also dealt defeats in Pennsylvania and Michigan — three states that were key to Donald Trump’s electoral college victory. In that sense, the midterms arguably represent continuity more than change. As for much of the past few decades, the GOP remains a minoritarian party that is nevertheless the dominant force in American politics. Republican rule has faced defeats before — including the more decisive contests of the mid and late 2000s — only to sustain themselves ideologically and recover electorally a few short years later. The Democratic Party’s 2006 midterm victory was supposed to repudiate the Bush administration’s war agenda — an agenda the Democrats then decided to keep funding to the tune of $95 billion. The 2008 election, which also saw Democrats retake the White House, was initially taken as an epochal realignment, but their congressional majority neglected to pass labor law or election reforms before the Republican tide returned in 2010. During the six years between that election and Trump’s shock victory, by contrast, Republicans across the country waged a relentless campaign to roll back basic rights, further weaken Democratic constituencies, gerrymander districts, and disempower workers and voters alike. Given recent history, it’s hard to imagine that even a much more decisive Democratic victory would have substantially altered this rhetoric or the course of action likely to follow from it. When Republicans win elections, they use every means at their disposal to rig the system, empower their own constituencies, and prime their base for the next great lurch to the right. 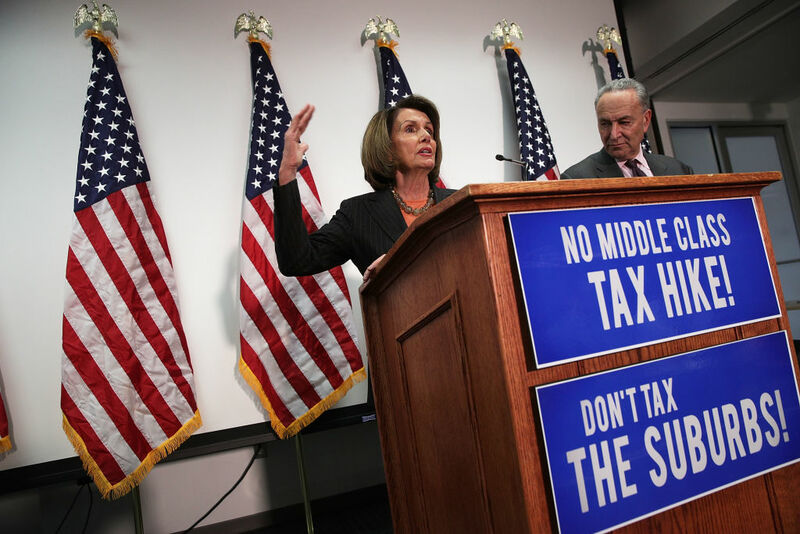 Democratic leaders, on the other hand, seem content to tread water, tinker here and there, complacently manage their base’s expectations, and preside magnanimously until the next defeat. So while last night’s elections are a rebuke to the Trump presidency — and another reminder of the Republican Party’s ultimate unpopularity — the task of defeating and undoing the conditions that gave rise to it remains a daunting one that the Democratic Party, its gains notwithstanding, still appears uniquely unsuited for. In the end, Republican hegemony isn’t going to be broken by a simple electoral rebuke. Though the Trump presidency now faces a larger political opposition, reversing the decades-long rightward march of American politics will ultimately require rebuilding democratic institutions and working-class power outside the electoral sphere — and, as recent history strongly suggests, a much more confrontational strategy within it. Could the Democrats have fared better last night with such a strategy? We’ll never know for sure. But the fact remains that vanquishing Trump and his allies demands a concerted campaign — not one merely aiming for the restoration of national honor or some healing of amorphous “division” — but against the interests and values they represent and the institutions of poverty, greed, and racism that maintain them.